PC Talking Typing Tutor is the touch typing program you have been waiting for! Speech and enhanced fonts prompt the learner every step of the way. Easy to use for novice computer users. The program works on Windows 10.1, 10, 7.1, XP platforms. It provides learners feedback on what they've typed. It guides them on making correct choices. And it says each letter or word, even spelling them phonetically. An educational version offers classroom teachers multiple user profiles and performance tracking capabilities. 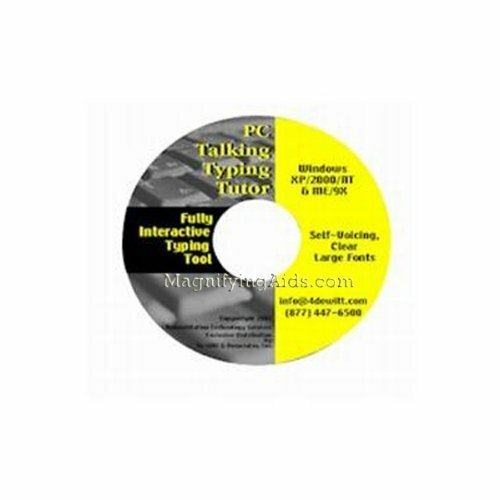 PC Talking Typing Tutor features easy to read, adjustable fonts and clear instructions! Perfect for both blind and low vision students. The price ($99.95) is a license for ONE year. Updates during the first year of use are free via email. In order for the program to continue to work after one year, it must be renewed with an SMA.